The process of how to make olive oil isn't that complicated. In almost every developed nation, obesity is a major problem. As people gain more access to higher quality food, they naturally eat more, and weight gain is usually the result. However, some cultural backgrounds and areas of the world seem to be able to eat heartily, while the majority of the population still maintains a healthy weight. This is one of the reasons that there is so much buzz surrounding things like the Mediterranean diet. People in the Mediterranean certainly love their food, but they don't have high rates of obesity. A very important part of the Mediterranean diet is the heavy use of olive oil. Olive leaf oil also contains a lot of health benefits. Olive oil is a heart healthy unsaturated fat - the best kind for your body. If you don't actually live in the Mediterranean, an area where growing olive trees is common, you may be less familiar with the process that goes into how to make olive oil. Follow along as we explore this integral part of Mediterranean eating. The best is to start with high quality olives. 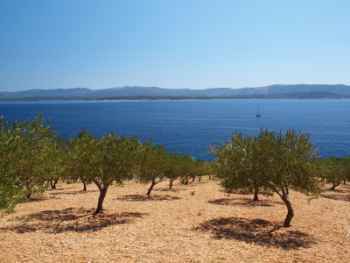 Olives are grown throughout the Mediterranean, as well as several other regions of Europe. Other continents are also compatible with the specific requirements of this life giving tree. Growing olive trees isn't necessarily difficult, but it does need to be done right for the best results. When olives are ripe, they should be picked and sent to milling within a few hours, preferably. Olives that sit more than about 24 hours start to oxidize and lose flavor and quality. Most olive oil is made using a commercial processing facility. However, for those that are interested in how to make olive oil as a home-based hobby, there are small presses that are available for only a few thousand dollars. If a small producer only plans on making a few batches, it is much cheaper to rent space in a commercial mill. 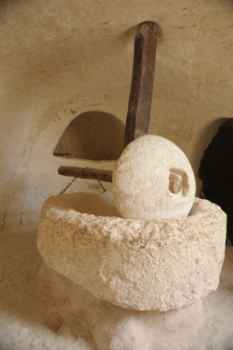 However, for those serious about how to make olive oil, a home mill can be a fun addition to the process. When the olives are delivered to a mill, they are cleaned. This removes all dirt and leaves from the mix. The mill then begins the process of crushing the olives into a paste, so that the oil can begin to be removed. It is extremely important that this be done gently, as the introduction of heat will harm the quality. The paste is then placed in an area called the malaxation chamber, where the oil begins to seep out of the mix of olive paste. This is an important part of how to make olive oil. After the malaxation process, the press is employed. This often has a centrifugal force, and is capable of removing all the solid parts from the liquids. After the pressing is completed, you are left with both oil and water, plus a waste product of solids. The final step is to separate the water from the oil. You are then ready to bottle and use it. While the process of how to make olive oil isn't that complicated, there are variations of finished product. Several factors go into grading olive oil, including the quality of the fruit from growing olive trees, and the production process. Extra-virgin is made when only the basic process is completed manually. The result is a nutrient rich oil, with a recognizable flavor. This grade often has a greenish tint. If a more mild product is desired, chemical processing may be used to remove strong flavor. Refined olive oil has a more yellow tint, and can be used in baking. While basic olive oil is an integral part of healthy eating, the Mediterranean diet is also packed with flavor enhancing herbs. It is extremely easy to add variety to your basic olive oil by flavoring it. Making it with herbal infusion is very simple. Select any fresh herbs, or a mixture of compatible flavors. Crush the herbs coarsely to begin the release of the natural flavoring oil. 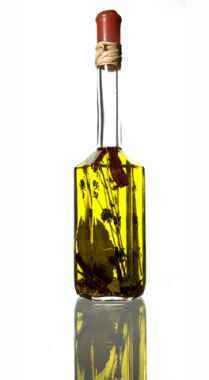 Place the crushed herbs into a bottle of olive oil and cap. The flavored olive oil should be ready to use in about a week, but more oils will be released as your herbs sit in your olive oil. The oil will help to preserve the herbs, but watch for spoiling, and remove the herbs promptly if that does occur. As you see, the whole process of how to make olive oil isn't complicated at all. Good luck and let me know your results!